Whether you’re a B2B or B2C buyer, your unique path to purchase is no longer linear. 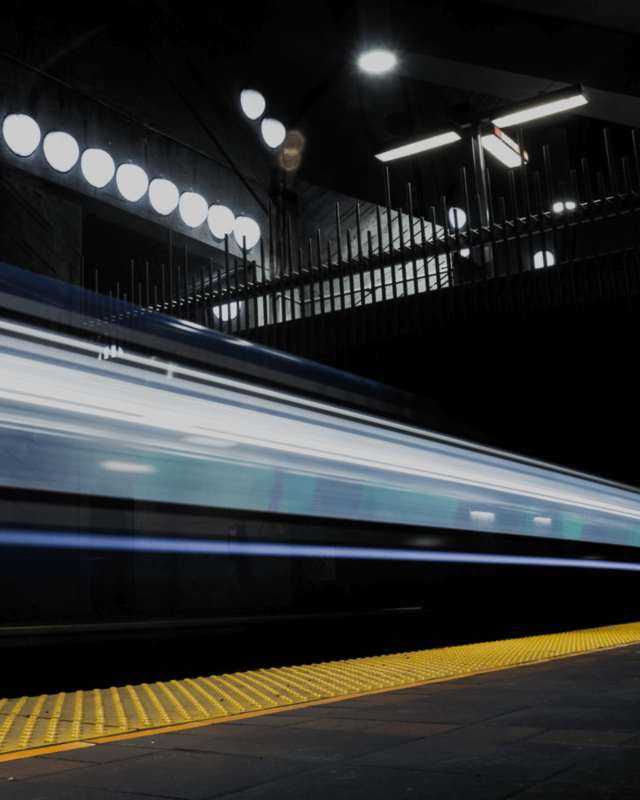 With advances in the digital landscape leading to raised expectations for seamless purchase journeys across all touchpoints, the B2B commerce sector is under pressure to close the experience gap on its B2C counterpart. Despite the sector’s shortcomings, spending on B2B ecommerce technologies, systems and services is increasing at twice the pace of the B2C market. Forrester predicts that by 2019, the US B2B ecommerce market will be worth $1.1 trillion, dwarfing the B2C market at $480 billion. Today’s B2B buyers migrate freely between self-service (online-centric) and full-service (offline-centric) purchase models, and are increasingly most comfortable in the middle ground between the two extremes. Top performers enable omnichannel fluidity, catering to buyers needs through the channels they prefer at the speeds they expect. While reliance on traditional relationship building and long-term contracts will continue to exist, B2B business are now looking towards digital technologies, investing heavily in omnichannel strategy in order to drive engagement and remain competitive. Generally speaking, omnichannel B2B buyers are more engaged and generate more revenue than single-channel customers. In fact, a significant 60% of B2B executives say their customers spend more overall when shifting from offline to online touchpoints. In addition to increased revenue, successful B2B operations note cost saving as another advantage of omnichannel strategy. The self-serving functionality that omnichannel provides – such as advanced search and informative online content – have replaced costly human support centres, substantially reducing operational costs. In a recent survey, 52% of B2B professionals cited reduced support costs as the primary reason for migrating business customers to online channels. Customer loyalty has long been the cornerstone of B2B marketing strategy, with costs involved with new acquisitions far outweighing that of customer retention. B2B executives indicate that their migrated customers are more likely to repeat purchase, also noting an increase in customer lifetime value. B2C marketers are well versed in the practice of catering to convenience, and while B2B has been slow to adapt, the same methods ring true. As part of their purchase journey, buyers typically expect to review comprehensive product information, much of it often very technical. Businesses who can present this content in a single, simplified view are one step closer to customer experience perfection. For eWave’s client Canon Australia, B2B makes up a significant portion of their online business. To cater to their buyer network requirements, they created a specially designed B2B suite, Web Sales Orders (WSO). The application was strategically employed to streamline the order, reorder and order management processes for approved retailers and partner businesses, having an immediate effect on customer experience by simplifying complex processes. The rise of mobile has been the driving force behind the convenience of B2C commerce online, and while sellers have traditionally disregarded the relevance of mobility in B2B, demand from buyers has increased the urgency to provide a solution. In fact, nearly 50% of brands are now actively investing in small-screen infrastructure. Russell Glass, VP of products at LinkedIn Marketing Solutions, has commented on the growth of mobile B2B, with LinkedIn itself now being accessed by more mobile users than any other device. “It’s a pretty good microcosm for the overall space. Businesspeople are increasingly engaging with content on mobile in an out-of-the-office sort of a work mode”, said Glass. Easy-to-navigate, intuitive interfaces are quickly becoming the minimum requirement for buyers, and sellers that fail to adapt will soon struggle to compete. With increased revenue, higher margins and more loyal customers, businesses that have invested in omnichannel are reaping the benefits. For those that have yet to invest, the downside of B2B’s shift to digital is that buyers will now find it much easier to find a replacement supplier if their needs are not being met. As B2C-driven expectations continue to rise, the demand for omnichannel convenience in B2B will follow. 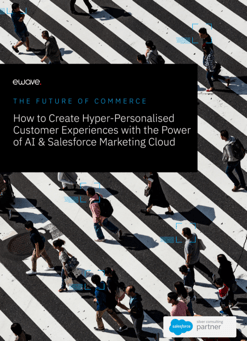 Sellers in the current landscape must construct a flexible, connected and scalable commerce infrastructure that enables seamless transitions between self-service, full-service, and hybrid purchasing. To acquire, serve, and retain customers, businesses must adapt to deliver unified, customer-centric digital experiences. The reality is that all customers today are omnichannel, and if you’re not there to serve them? Someone else will. Talk to eWave today to streamline your B2B omnichannel operations.